The WISeNet Advisory Board includes distinguished researchers from partner companies and government laboratories who lead required laboratory and field experiments, and establish lifelong mentorship with the trainees, starting from when they join the program, to long after they enter the workforce. Gayle Hagler is an environmental engineer in the U.S. Environmental Protection Agency Office of Research and Development, located in Research Triangle Park, North Carolina. She received a Ph.D. in environmental engineering from the Georgia Institute of Technology, in Atlanta, Georgia. Dr. Hagler also received her M.S. and B.S. in Civil Engineering from the Georgia Institute of Technology. Dr. Hagler’s research is focused on studying ambient air quality and quantifying source emissions, with recent work focused on characterizing near-roadway and near-rail yard air quality. She has also previously studied air pollution internationally in urban (southern China) and remote (Greenland Ice Sheet) regions. Her work has been published in a number of scientific journals, including the Atmospheric Environment, Aerosol and Air Quality Research, Journal of Geophysical Research-Atmospheres, Geophysical Research Letters, Atmospheric Chemistry and Physics, and Polar Science. Dr. Hagler serves as host and point of contact for the “Geospatial Monitoring of Air Quality and Pollutants” experiment option for WISeNet fellows and trainees. Dr. Johnson is currently Chief Innovation Officer (and founder) of Introspective Systems LLC, a company that develops distributed, autonomic control systems for large scale sustainable communities. Introspective Systems are articulated components of complex systems that are 1) self aware, 2) capable of measuring their performance against higher level goals and objectives, and 3) capable of self-modification to improve their performance in a global sense. Until recently, she was a System Engineering Fellow for BAE Systems providing programmatic guidance in the fields of multisensor fusion and UAV based sensor systems. 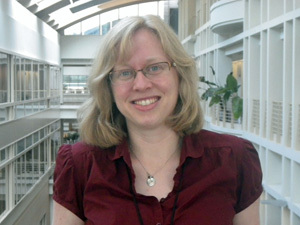 Her particular areas of expertise include 1) multimodal, multsensor fusion, 2) synthetic virtual environments for modeling complex sensor and control systems, 3) computational intelligence, and 4) cognitive interface technology. Taken together, these are the essential building blocks of her central passion for exploring complex systems - sometimes called systems of systems engineering. Her current focus as Chief Innovation Officer at Introspective Systems is to explore new ways to apply these skills to provide adaptive and evolutionary control systems in the optimization of sustainable environments and communities. 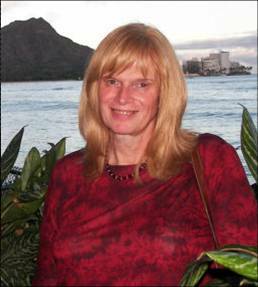 She holds advanced degrees from MIT and Caltech, and has previously pursued careers in global seismology, volcanology, medical diagnostics, and complex systems engineering with positions in government, corporate research, and academia including ten years as Associate Professor at the University of Hawaii at Hilo. Dr. Wettergren received the B.S. degree in electrical engineering and the Ph.D. degree in Applied Mathematics, both from Rensselaer Polytechnic Institute in Troy, NY. He joined the Naval Undersea Warfare Center in Newport, RI, in 1995, where he has served as a research scientist in the torpedo systems, sonar systems, and undersea combat systems departments. He currently is a senior scientist in the Center for Advanced System Technology of the USW Combat Systems Department, where he leads a small group of researchers in the development of new mathematical techniques for undersea command and control systems. His personal research interests are in the mathematical modeling, analysis, optimization, and control of undersea sensing systems. 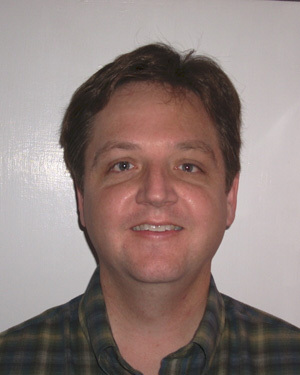 Dr. Wettergren is a senior member of the IEEE and a member of the Institute for Operations Research and the Management Sciences (INFORMS). He serves as host and point of contact for the “Undersea Monitoring and Surveillance” experiment option for WISeNet fellows and trainees. Stefano Varisco has been in Ferrari Industrial Management since 2004 starting as performance engineer of controlled damping system involved in both virtual development (simulation) and experimental road testing. Since then he extended his involvement to the general vehicle development oriented to the performance, still relying on a wide usage of simulations to investigate and evaluate both mechanical and controlled system solutions. At present, he is responsible for the Vehicle Dynamics group, aiming at the development of the mechanical and electronically controlled system of the vehicle focused on the achievement of the highest level of performance. The Duke WISeNet Program is sponsored by the National Science Foundation (Grant #DGE-1068871).